Whether near or far apart, your sister will appreciate the thoughtfulness behind such wonderful Personalized Sister Gifts as our Sisters Forever Photo Cube. Add special memories of each other to make these Gifts for Sisters extra unique. 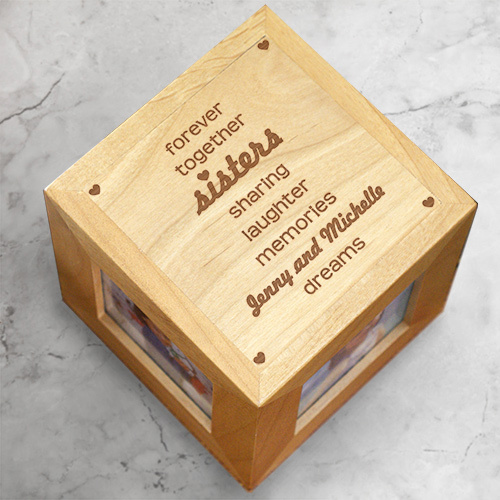 Your sister is very special, show her with heartfelt memories in our Personalized Engraved Sisters Photo Cube. 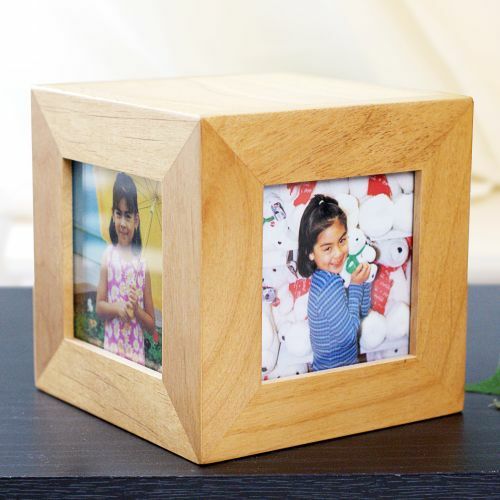 Our beautiful natural wood 4.5" photo cube features 4 separate photo openings measuring 2.5" x 2.5". Includes FREE Engraving! Personalize your Engraved Sisters Photo Cube with up to 4 names. The sisters photo cube is so cute!! I'll be ordering another one for my other sister soon. Very high quality- as are all of Gifts For You Now's wood products. Love it! I would definitely recommend this product!